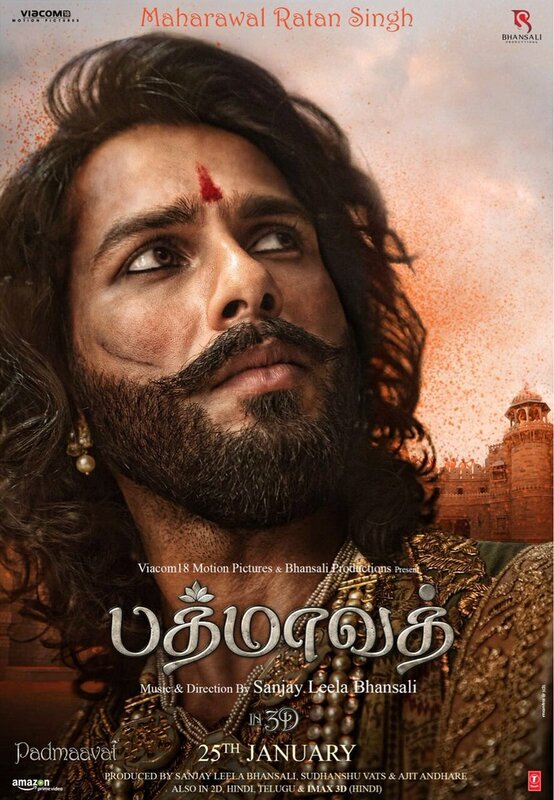 After months of controversy, Padmavati is now getting released as Padmaavat and we now have the Tamil Trailer too. Like every film of his, Sanjay Leela Bhansali holds your breathe with every shot and the music along with the expressions exuded by the actors elevate you to a different world together. 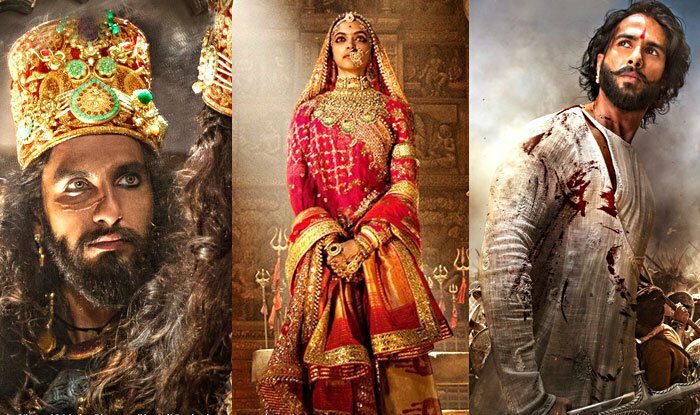 Padmavati, now Padmaavat has been scheduled for Jan 25 release and will compete with Padman and Bhaagamathie, two other big films releasing on the Republic Day holiday weekend. 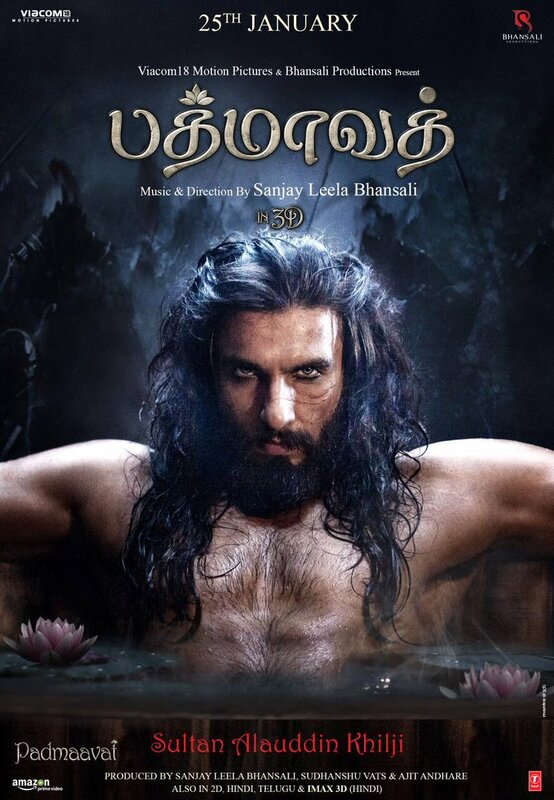 Check out the Tamil trailer of Padmaavat here. 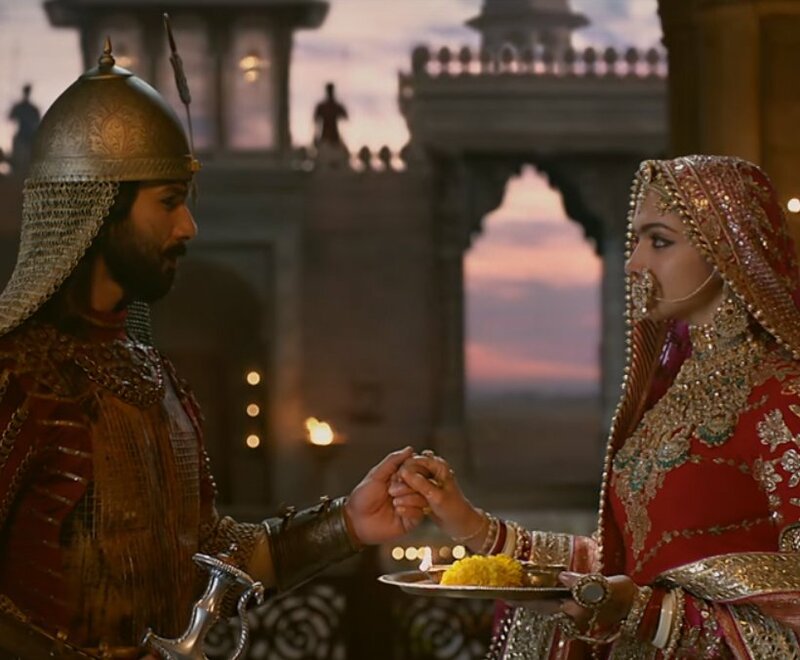 Padmaavat stars Deepika Padukone, Ranveer Singh, Shahid Kapoor, Aditi Rao Hydari and Jim Sarbh and produced by Viacom18 Motion Pictures and Bhansali Productions. Padmaavat will release in 3D and is the first Indian film to have a global IMAX 3D release. 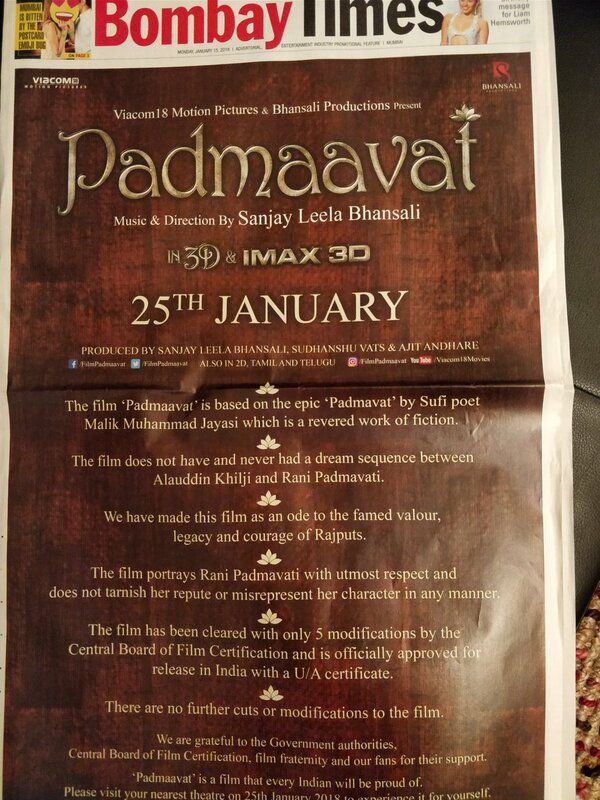 The movie had a front page advertisement/explanation in a leading newspaper explaining that only 5 corrections were made as per CBFC recommendation and never had a dream sequence between Alauddin Khijli and Rani Padmavati.